Whole house audio is not entirely about the speakers, but they will be the factor that most affects your sound quality in this application. Where once a whole house system might indicate only built-in speakers, today's options allow you to incorporate many different types of speakers into your setup — wireless powered speakers, bookshelf, floor standing towers, and of course architectural speakers in ceilings and walls as well as outdoors. As many top speaker brands have branched out into architectural and outdoor speakers, you can have the same brand of speaker throughout. For example, if you are an audiophile who likes Revel, they now have a full line for practically any area of your home. But you don’t have to go with the same brand. You can have a listening or home theater setup with your favorite components and speakers that can tie into your whole home system as well, and use architectural speakers from different brands in secondary spaces. The choice is yours, depending on how critically you will be listening in different parts of your house. Speakers need amplifiers to power them unless they’re built in as in many wireless models like those from Sonos. The numbers and types of amplifiers will depend on the system you are using, the number of speakers you will have, and how many rooms or areas they are in. Why discuss amplifiers? Because matching them to the speakers in each area is critical to sound quality. When choosing higher end speakers, they may require more power — and higher quality amplification — than others, especially if you want them to play loud clearly. Many whole-house audio distribution systems, like from our partner Control4, have amplifiers that pair up with their system. Another one of our partners, Sonos, recently introduced their Amp product which ties any speakers, built-in or otherwise, into a Sonos whole home system. There are many ways to put together a whole house system, and we can help you choose the right components based on your preferences. Another important consideration is the sources for your music. Do you have a big digital music collection? What formats is it in, as in MP3 or a lossless one? Do you prefer streaming music from Apple Music, Spotify, or Tidal? Do you want to hear high-resolution music? Some of these choices might dictate one system over the other. For example, Sonos is an excellent and easy to use system, but it doesn’t support high-resolution audio if that’s important to you. As an alternative, you might consider a Control4 EA music server, which can bring multiple audio sources together with simplified control. There are many other options, including systems built around home theater receivers with multizone and wireless streaming capabilities. Much depends on how big a system you need, and how you interact with it. Above all, a whole house system must be easy to use. No matter how good the sound, if you can’t call up what you want to hear where you want to hear it in a matter of seconds then you will be frustrated. The interface needs to be intuitive, and you shouldn't have to go through gyrations to switch between your music library and Spotify. We also realize that not everyone wants to use a touchscreen all the time. Sometimes you want to see your choices on a big TV screen. Sometimes you want to hit one button on your wall and have music start playing. Not all whole house systems give you all the choices. Not all of them can tie into other smart home features you may have. We can help through sort through the pros and cons of each and help you decide on the system that’s right for you. 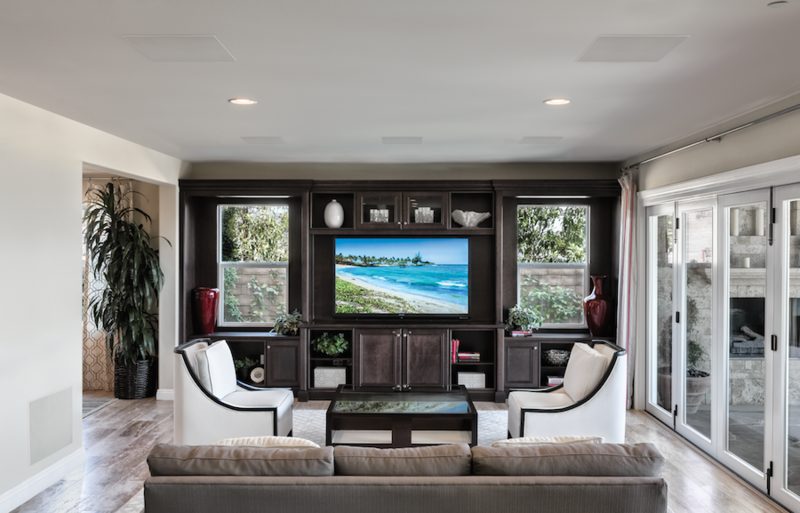 Want to learn more about the best whole house audio solutions for your Lake Oswego home? Contact us here or click below to be immediately connected to one of our specialists.